As an immigration attorney, these headlines (and the debate that follows) makes my blood boil. Why? Because the headlines are wrong. These headlines, these sound bites, printed and repeated across the media spectrum over the last few days are not only plain wrong; they misinform and bring false hope to the population that the plan will actually benefit. As with the 2012 Deferred Action for Childhood Arrivals (DACA) program before it, I will spend hours talking with clients and trying to re-inform and re-educate about what the President’s new plan actually is, what benefits the plan actually provides, and most importantly, what it is not. This plan provides a very significant benefit to the parents of U.S. citizens and lawful permanent residents, it grants them a reprieve from the threat of deportation for three years, permission to work during this reprieve, and in most states will render them eligible for a driver’s license so that they can drive without fear of being pulled over and potentially placed in deportation proceedings. This is most certainly a significant change for this population, and a very positive one at that. But it is not legalization. Not even close. The way the immigration laws have developed over the past 50 years has left us with an unworkable morass of laws that interact with each other in extremely complicated ways. We all understand that the immigration system is broken. The complexity of these laws does not obviate the media’s responsibility to get it right and characterize these benefits accurately. Obama’s plan does not legalize millions. 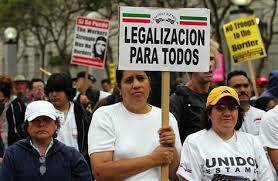 Deferred Action for Parental Accountability (DAPA) does not legalize a single individual. It will give a temporary, and potentially fleeting benefit to a group of people that have lived in our country, worked in our country, contributed to our economy, and parented our citizen and resident children.